Newfoundland & Labrador– July 28, 2009 –The Honourable Charlene Johnson, Minster of Environment and Conservation, and Mike Samson, Interim Chair and CEO of the Multi Materials Stewardship Board (MMSB), were joined today by Bernard Lord, President and CEO of the Canadian Wireless Telecommunications Association (CWTA), to announce a partnership aimed at making it easier to recycle old cell phones. The CWTA’s national program allows users to find out where and how to properly dispose of cell phones and other wireless devices, regardless of carrier, brand or condition, atwww.RecycleMyCell.ca. The free program is organized by CWTA in conjunction with cell phone service providers, handset manufacturers and recycling companies. Users can find cell phone recycling drop-off locations by entering a postal code atwww.RecycleMyCell.ca or calling 1-888-797-1740 for more information. This generates a list of the 10 closest cell phone recycling drop-off sites. For those who can’t visit one of these drop-off locations in person, the website provides a postage-paid label that can be printed, as well as instructions for clearing devices of all personal data before drop-off at a recycling site. Many different items are accepted for recycling, including cell phones, smartphones, pagers, aircards, batteries, chargers and accessories. After the device is received, it is sent to a recycling plant where it can be taken apart for scrap or be refurbished. Proceeds from the sale of refurbished phones and scrap materials are donated to numerous national and local charities. All of the recycling companies involved with the Recycle My Cell program are ISO 14001:2004 certified, meaning they have an environmental management system in place which ensures accountability and knowledge of the associated environmental impacts. 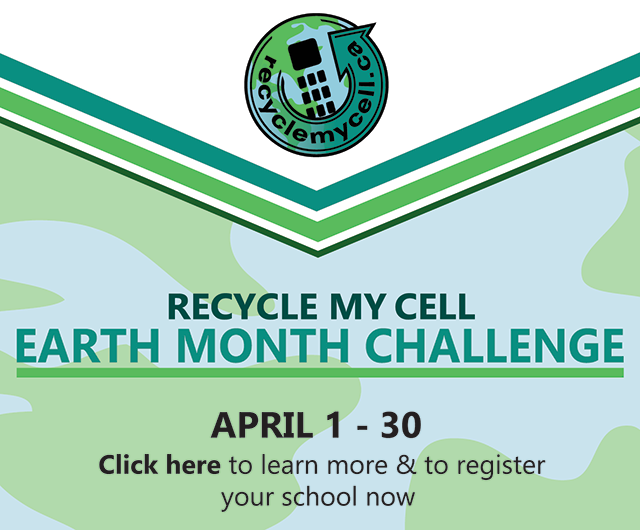 Recycle My Cell is made possible with participation from: Bell, GREENTEC, KYOCERA, Motorola, MTS, Nokia, ReCellular Inc., Research In Motion, Rogers Communications Inc., Samsung, SaskTel, Sony Ericsson, TbayTel, TELUS and Virgin Mobile Canada. CWTA represents cellular, messaging, mobile radio, fixed wireless and mobile satellite carriers, as well as companies that develop and produce products and services for the industry. For more information about CWTA visit www.cwta.ca. MMSB is a provincial Crown agency that reports to the Minister of Environment and Conservation. Its mandate is to support progressive waste management practices in the province, with a particular focus on waste diversion, recycling and public education, in order to ensure a clean and healthy environment throughout Newfoundland and Labrador.